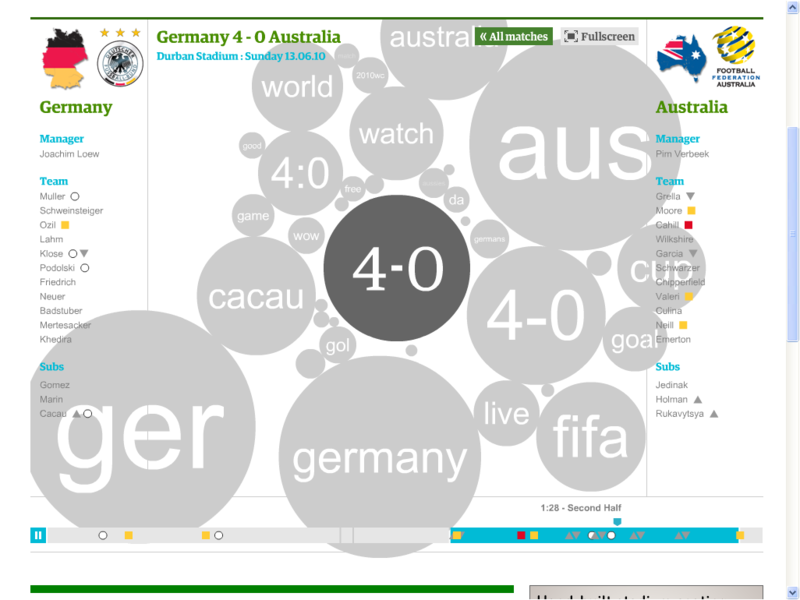 The official Twitter World Cup site seems a bit of a mess in retrospect - too many random tweets, too little perspective. 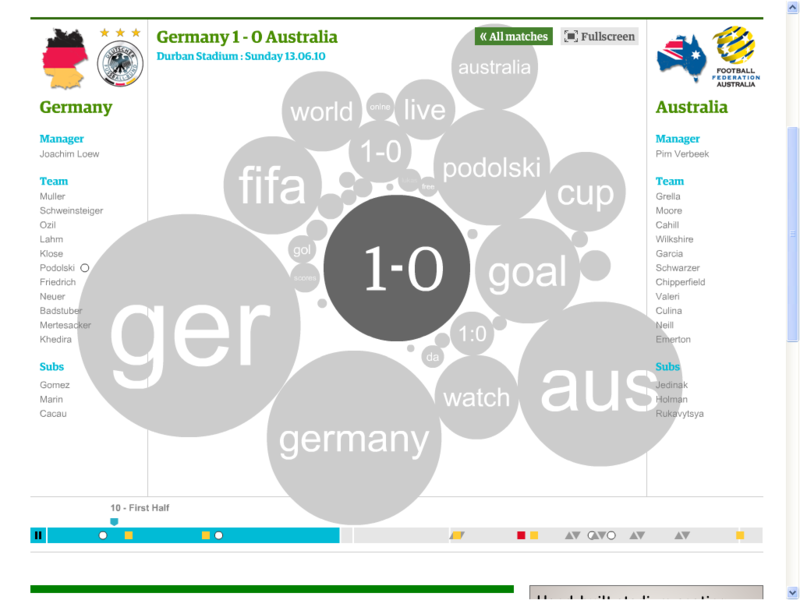 This new visualisation from The Guardian is much better. 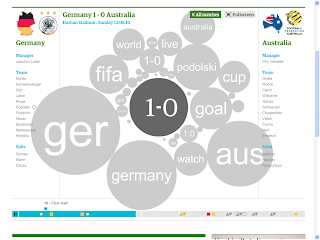 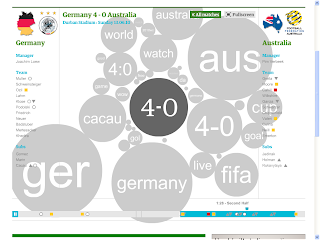 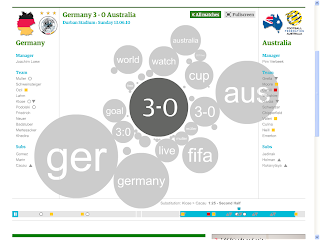 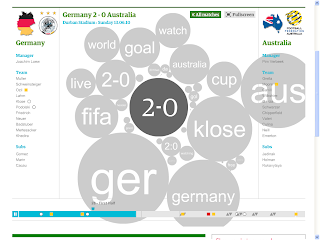 Watch any of the games that have already been played in terms of the most tweeted #worldcup words - the bigger the bubble the bigger the number of mentions, with the score shown in a circle in the middle. 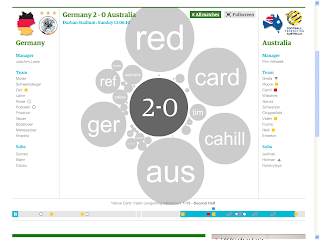 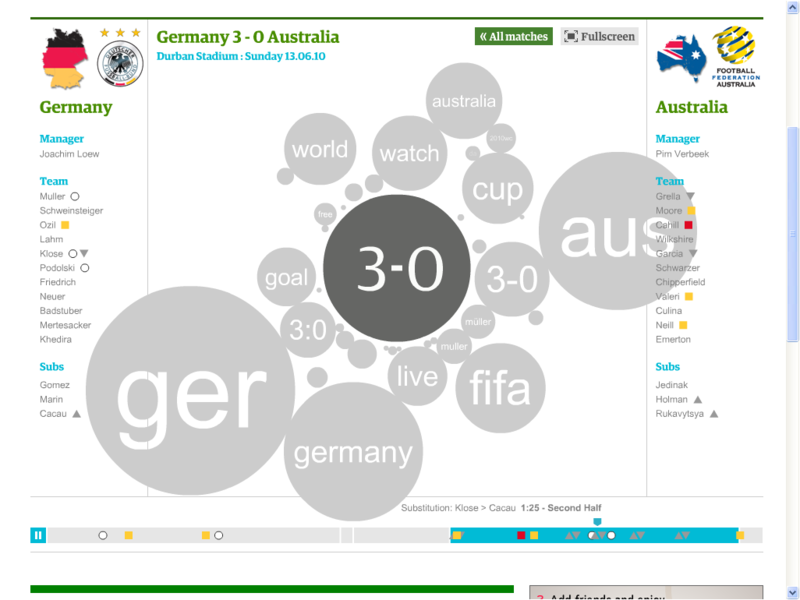 Sadly you can't link to individual games, but click here and search for the Germany - Australia match.